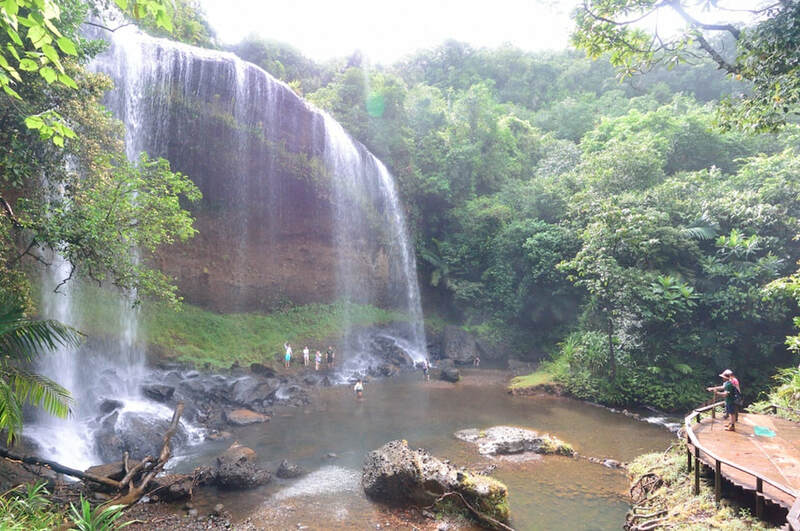 On Wednesday, we went to the waterfall ("Taki") of the Diong Era Did (sometimes spelled "Diongradid") river in Ngardmau state on Babeldaob island. We spent time with guest instructor Dr. Carla Atkinson learning about some of the different lotic habitats (riffles, runs, and pools), and ways of sampling invertebrates (kick nets, d-nets, shrimp traps left overnight). We found at least five species of freshwater crabs and shrimps, but curiously few insects (only some simuliids, chironomids, a single damselfly nymph, and some small aquatic hemipterans we haven't figured out yet. 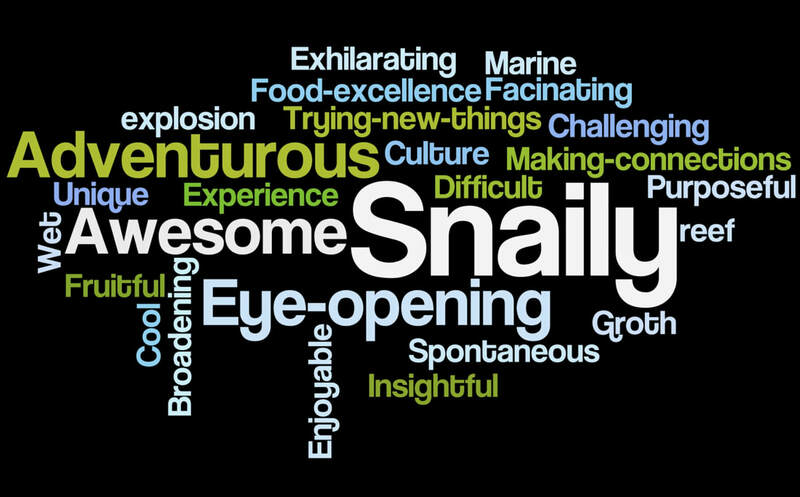 Neritid snails were also abundant, but we think that by and large, decapods dominate the Diongradid. On Thursday, our students had most of the morning and early afternoon to work on their final presentations, and then they heard from our Palauan friends Kiblas Soaladaob and Tarita Holm. Kiblas has a masters degree in Pacific Studies from the University of Canterbury in New Zealand, and has thought a lot about Palauan culture and identity in the context of other Pacific Island cultures. Tarita has a masters degree in forestry and has worked on a variety of conservation projects in Palau. Then, sadly, on Friday, we had our last day. As I type this, at about 9:30pm Palau Time, the students are enjoying their last few hours in their apartments. Earlier today, they gave some great presentations on what they learned about conservation biology in marine, freshwater, and terrestrial environments in Palau. It's been an eventful few days here in Palau! On Sunday, we drove up to Ngardmau state to survey their marine protected area for sea cucumbers! This was a follow-up survey to some previous work by PICRC and Ngardmau State. (Above) One of the members of the genus Actinopyga our students surveyed (for those interested, there were about 1.7 per square meter); (below) Jack heroically swimming against the current near the yellow transect tape. On Monday, we did some quick freshwater explorations around Ngardok Lake in Melekeok state (the largest natural body of freshwater in Micronesia), and found some fun odonate nymphs and daphnia. We also did some ant surveys of some of the different vegetation types in the reserve around the lake. 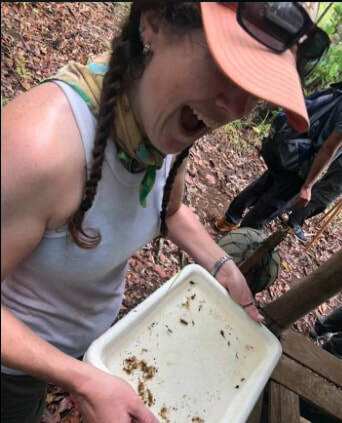 (above) An excited Dr. Carla Atkinson checks out some of the aquatic macroinvertebrates (and cane toad tadpoles) we found in Ngardok Lake. 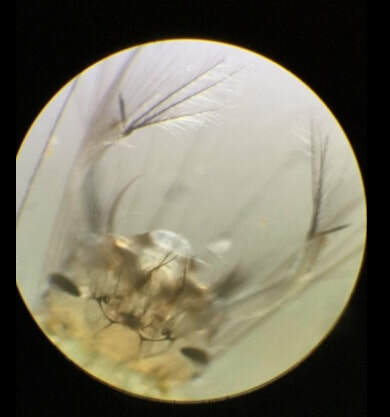 (below) A close up of one of the many mosquito larvae we found in the lake, taken in the field through Anuschka's cellscope. 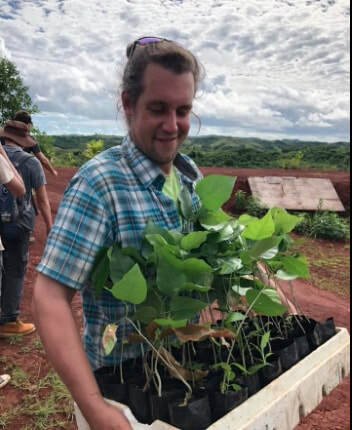 Finally, on Tuesday, we spent the morning planting about 86 native trees in an eroded Bauxite mine site in Ngeremlengui State with the Ebiil Society. While you're talking to your doctor, it also might be a good idea to ask for a full course of a broad-spectrum antibiotic like Cipro. The most likely use for this would be a stubborn skin infection that you get because a cut doesn't stay clean enough. I got a staph infection in my foot once because I was doing field work in flip-flops, walked through some thorns, and then walked through some muddy puddles. We'll have some basic wound management supplies handy (Dr. Rundell and I have lots of experience trying to keep cuts and scrapes clean while doing field work in the tropics, so we have some strong opinions on this), but more stubborn infections (or other bacteria-related illnesses) are still completely possible, so it's nice to have the option. There are definitely antibiotics available in Palau, but it can be convenient to have a full course handy that you've already spoken to your PCP about. Finally, if I were feeling really overqualified to give medical advice that I'm not qualified to give, I might say something like, "don't get anti-malarial meds. I've never heard of anyone getting malaria in Palau, and most of the meds have side effects that are severe enough it's just not worth it." Also, the CDC site for Palau doesn't say anything about Malaria. It's a great idea to bring some over-the-counter allergy and anti-diarrhea meds with you. There is a wide range of over-the-counter and prescription medications available in Palau, so refills might be possible, but it would be best to try to travel with a sufficient supply of all medications you might need for the duration of the course. Both allergy and diarrhea meds often seem to be necessary at the most inconvenient times, so it's a great idea to pack some of each. There are a few different types of biting flies in Palau (e.g., mosquitoes), and an annoying mite called "chiggers" that are common on some islands. There is also a tree in Palau that can cause a similar reaction to poison ivy, especially if you make a lot of contact with it in the rain. For all of these reasons, it can be nice to have some sort of anti-itch cream. If you've had severe reactions to poison ivy in the past (to the point where you've needed a prescription to clear it up), it might be smart to ask your doctor for a course of whatever helped the poison ivy clear up before. If you're allergic to bees, or if you have had systemic/anaphylactic allergic reactions to anything, please please please let us know about it, and bring an EpiPen. you shouldn't have any problems, and we should all have an awesome time! 1) Protect your feet from thorns/sharp rocks/stonefish, etc. An important point the blog post didn't cover that pertains directly to point 2 is sunscreen! If your ancestors came from a place further away from the Equator than Palau, you might have a tough time with the levels of sunlight here. Even Palauans who work inside have told me that they get sunburned if they spend all day out on a boat. For those of you with fair skin, the only way you're going to be able to come away from this course without injuring yourself is to wear sunscreen when we're outside. Some research has also shown that the very small particles of metal oxides (zinc and titanium) used in some sunscreens/sunblocks can also be detrimental to invertebrate health. Which has zinc oxide as the physical sunscreen barrier. If you have to buy sunblock in Palau, this might be the lesser of several evils, but as I mentioned earlier, the zinc nanoparticles are still potentially problematic for marine and freshwater invertebrates. We'll bring some sunscreen to share, but it would be really great if you could get some environmentally responsible sunscreen, and perhaps even try it out before the course! This is a conservation biology course, so we want to make sure we minimize our potentially negative impacts on Palau, while minimizing the sun's potential negative impacts on our bodies. There's a turnoff in Ngardmau (or, depending on who you ask, Ngeremlengui) where you can see Ngarchelong and Ngeruktabel, Etiruir and Ngerulmud. On a really clear day, I'm pretty sure you might be able to see Kayangel. There are some really cool terrestrial habitats within walking distance, so we'll go there together once all y'all get here. This is looking northeast at the sunrise about an hour and a half after I arrived in Palau on Friday, April 27 (the evening of April 26 for you). See you in a few weeks! To some extent, it makes sense to have separate clothing and gear for different habitats, so we'll break up this blog post a little bit. But also keep in mind that many days we'll be fairly amphibious: we probably won't do sampling in all three major habitats in one day, but most days we'll be either terrestrial/marine or terrestrial/freshwater. In town / front country: There will be a day or two you'll be in nice-ish front-country (as opposed to backcountry) settings: you'll be interacting with Palauan elementary school students and their teachers, or the staff of a variety of NGO's and governmental agencies, so it would be good if you had an outfit or two that would not be offensive to moderately conservative mid-western Americans. Palau has a lot of foreign tourists, so the in-town dress code is fairly relaxed: you can pretty much wear things you'd wear on campus during the summer. Some of our front-country time will be spent in air-conditioned rooms, though, and they're sometimes quite chilly, so it would be good to bring at least one or two outfits that you'd be comfortable sitting around and using a microscope for a few hours when it's in the mid-60s. I usually just bring some long pants and a polypropylene long-underwear top or two. The long underwear top can also double as a rash-guard (discussed in the marine habitat section). Thick cotton pants (e.g., jeans) will tend to be uncomfortable in the humidity. 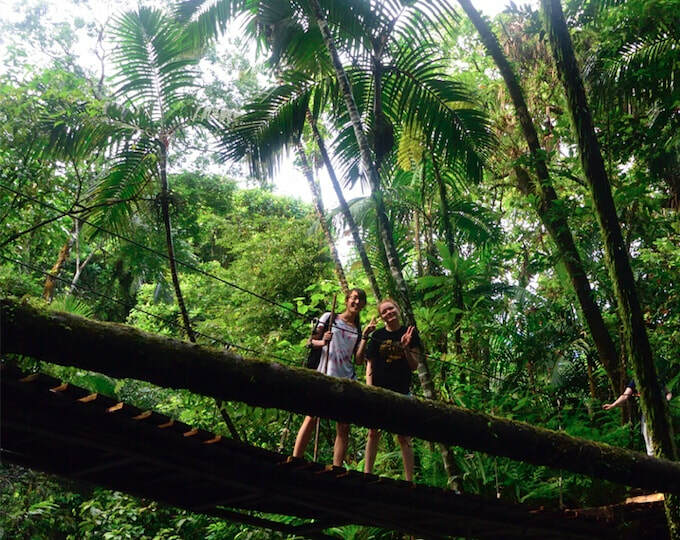 They're pretty good for places like Arizona, but in the humidity of Palau they pretty much won't dry out... ever. They're find for front-country wear, though. Same goes for these Japanese gardening shoes (tavi's) that some people wear. They're canvas and rubber, so they breath better than neoprene booties, but they're not great for long hikes over hard-packed trails, where you would want more insole cushioning and more ankle support. These were honestly great, but I don't know if you can get them in the US. If you had some old, beat-up sports cleats, those would probably work pretty well, too. A good compromise might be some old running shoes you don't mind getting wet. There are some close-toed shoes specifically made for use in the water, but it might not really be worth getting them for a 2-week course. Freshwater habitats: The freshwater habitats we'll be working in will mostly require between 15 minutes and 2 hours of walking through the forest, so you'll more or less have wear clothes you'll be comfortable in both places with. For freshwater sites we can access directly from the road, it would probably be most comfortable to wear shorts and some kind of Teva- or Chaco- like sport sandal. But I've had bad luck walking through thorns and then walking through the mud (had to miss a few field days because of a staph infection in some thorn scratches), so it's probably wisest to stick with your terrestrial outfits: old running shoes or neoprene booties, and long pants. 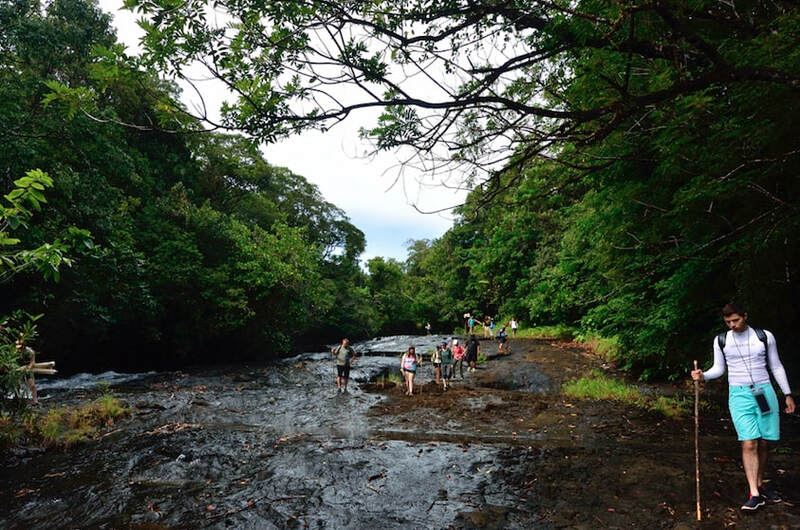 The parts of the rivers we'll be visiting will mostly be a bit too shallow for snorkeling, so expect to get wet up to your knees or waist, but you don't need to be prepared for fully swimming in the water with mask, fins, and snorkel. The deeper parts of the rivers tend to be closer to the estuaries where there are lots of mangroves, which is where crocodiles tend to hang out, so we won't be swimming there. In addition to warmth and protection from the sun, longer swimsuits also provide some protection from stinging cnidarians, like jellyfish and firecorals. If it's raining on the boat ride home, it can get pretty chilly, so it's nice to have a light rain jacket. In the forest, I personally think it's a little too hot for raincoats, and it often feels more comfortable to use an umbrella. Umbrellas can make activities like eating and writing in the rain much easier and more pleasant. For doing work at night, it would be great if you had a headlamp. 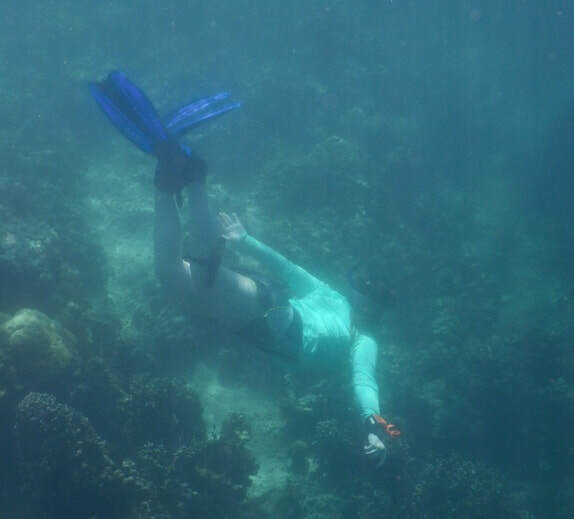 If you can, bring a waterproof flashlight as well, in case we get the chance to go snorkeling at night. There could be some pretty cool stuff going on in the ocean with the full moon on May 29th. OK, thanks for reading! Definitely feel free to ask Jesse or Dr. Rundell questions, or add comments below! Orem, W. H., Burnett, W. C., Landing, W. M., Lyons, W. B., & Showers, W. (1991). Jellyfish Lake, Palau: Early diagenesis of organic matter in sediments of an anoxic marine lake. Limnology and oceanography, 36(3), 526-543. Jellyfish Lake on Eil Malk Island in the Western Pacific country of Palau is an isolated marine lake. Restricted circulation in the lake leads to formation of anoxic bottom water layer which helps preserve organic matter in sediments. The authors sought to measure the elementary contents and stable isotopes in sediments from Jellyfish Lake and studied the process of diagenesis. Wet sediment samples were collected from Jellyfish Lake for dissolved organic carbon analysis. Then the concentrations of elemental contents in organic matter obtained were measured. Carbonate shells of bivalves and gastropods from Jellyfish Lake sediments were collects for stable isotopes measurements. The result of measurement shown that organic matter is abundant in sediments of Jellyfish Lake. Around 91% of organic matters in sediments are derived from vascular plant remains and 9% are from algal. Elementary content results and stable isotopic data of shells from the sediments suggest the differences between Jellyfish Lake and other marine lakes can caused by long-term geological changes, close climatic and ecological changes, vegetation around the lake. This research is relevant to conservation of jellyfish and other species in Palau because it studied the formation and composition of organic matters in Jellyfish Lake, a marine lake which sufficiently isolated. Permanently stratified marine lake like Jellyfish Lake is not usual. The stratification caused by restricted water circulation separate lake water into oxygenated top layer and highly sulfidic anoxic bottom layer. Special conditions of this lake affects speciation and migration of the golden jellyfish, Mastigias cf. papua etpisoni and other species. Findings about the elementary content composition an organic matters in Jellyfish Lake helps maintain and protect the habitat for living species in Jellyfish Lake. Krushelnycky, P.D. & Gillespie, R.G. (2010) Sampling across space and time to validate natural experiments: an example with ant invasions in Hawaii. Biological invasions, 12, 643–655. 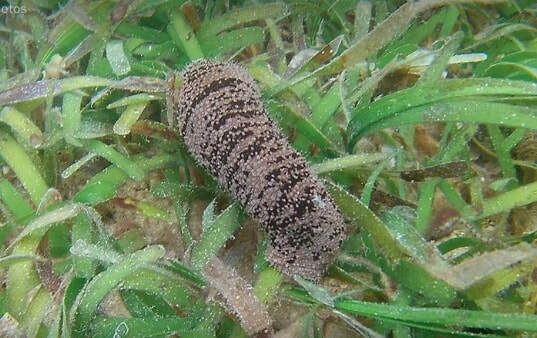 Studying the ecological impacts of invasive species on an ecosystem can be difficult because experimental approaches involving introduction or removal of an invasive species cannot be used. Instead, such studies are often done by comparing communities of invaded habitats to communities of similar, uninvaded habitats. 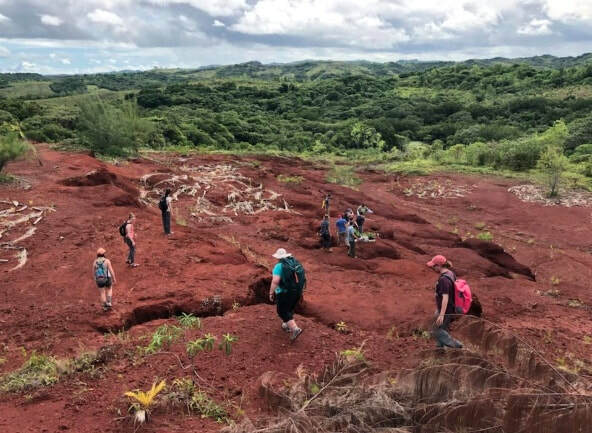 Krushelnycky and Gillespie test a comparative method of sampling inside and outside of invasion boundaries as well as across time with invasive ant species in two sites on Hawaii Island. Invaded plots, uninvaded plots, and plots that were expected to become invaded were sampled at each site, examining arthopod species richness and the presence of indicator species associated with invaded and uninvaded conditions. The plots were sampled a second time two years later and community composition was compared between plots and between the two sampling events. In one site, the community composition in plots before invasion was significantly different from that of invaded plots and not significantly different from uninvaded plots and became significantly different from uninvaded plots and not significantly different from invaded plots after invasion. In the other site, changes in community composition were found in plots before and after invasion. In both sites, several arthropod species that were found to be indicator species shifted in abundance before and after invasion. The results suggested that at least partial transition of community composition had occurred after two years in response to ant invasion. The two species of ants studied, Phelidole megacephala and Linepithema humile, are reported to be among the most dominant invasive ants in the world. Introduction of these or similar ant species may be a possible threat to Palauan biodiversity, based on their invasion of sites in Hawaii. 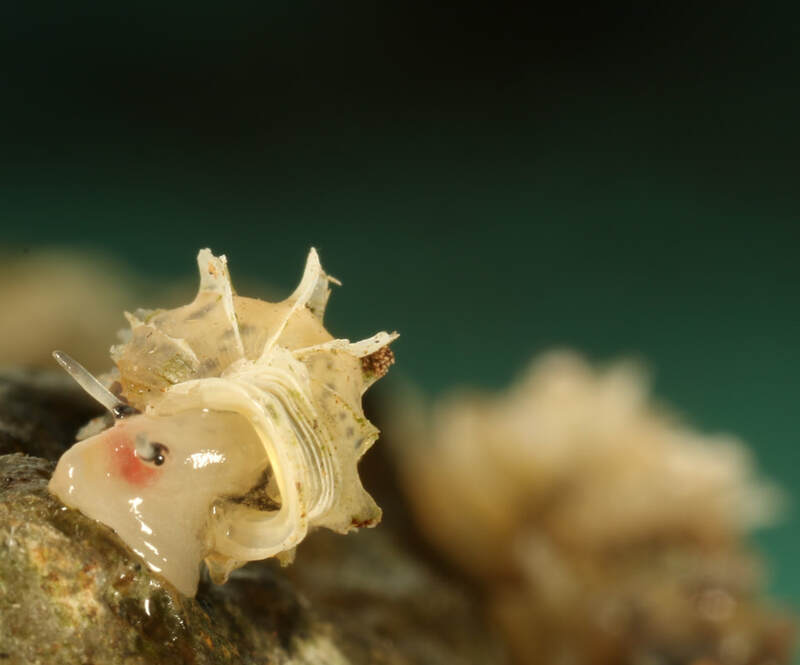 The small size of some habitats in Palau and the exclusive range of many invertebrate species may further increase the impact of invading species on local communities. 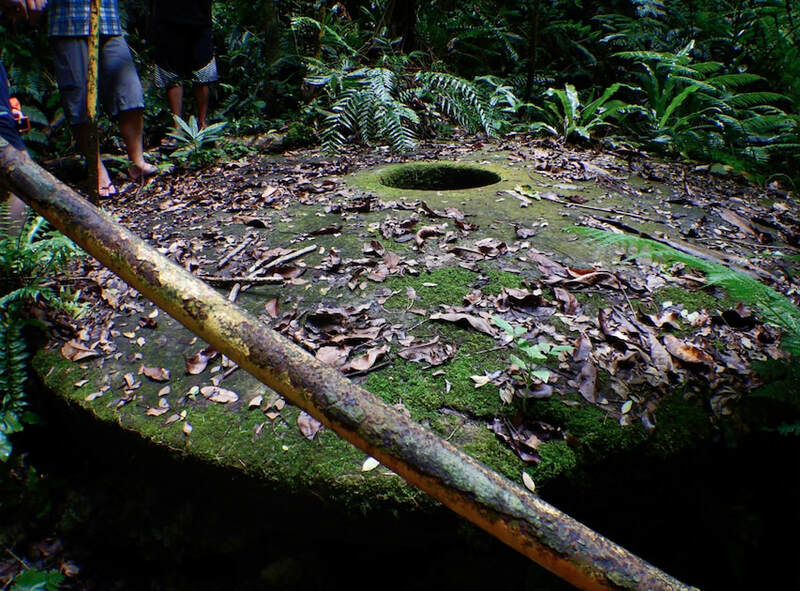 The sampling method used in this study may be useful for long term studies in Palau; the authors were able to use this method on another small tropical Pacific island. The study also suggested that more than two years would be needed for significant changes in response to invasion to be observed. Even if differences exist between the conditions described in the paper and Palau, conservation studies in Palau would likely involve similar procedures and comparisons of arthropod and invertebrate communities. Woesik, R., Houk, P., Isechal, A.L., Idechong, J.W., Victor, S., & Golbuu, Y. (2012) Climate-change refugia in the sheltered bays of Palau: analogs of future reefs. Ecology and evolution, 2, 2474–2484. This study sets out to describe the effects of location on the degree of coral bleaching from thermal stress. They add the factor of taxonomy to determine which clades of coral are the most affected by this change. The scientists use this information to recommend where we should focus conservation efforts spatially in the face of climate change. Scientists used still pictures from video footage taken before and after a thermal stress event in 2010 to determine the degree of coral bleaching in Palauan reefs caused by the change in temperature. 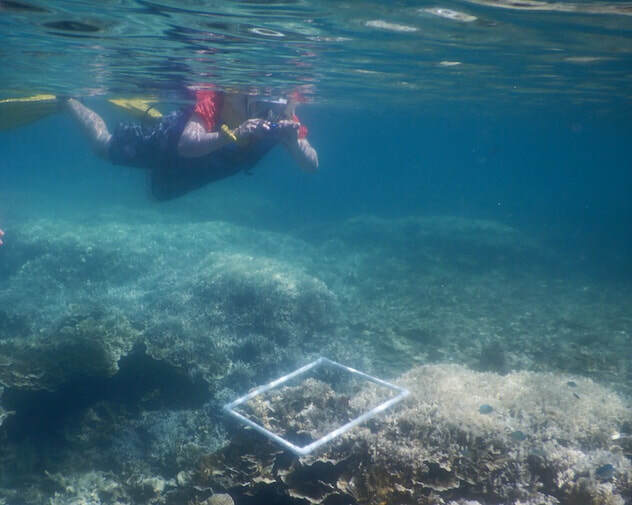 They recorded patterns in 35 genera of coral and three types of reef areas: bays, patch reefs, and outer reefs, and used a satellite to compare their respective geographical temperature. Populations of the coral genus Pocillopora were the most affected by thermal stress, followed by Psammocora and Seriatopora. 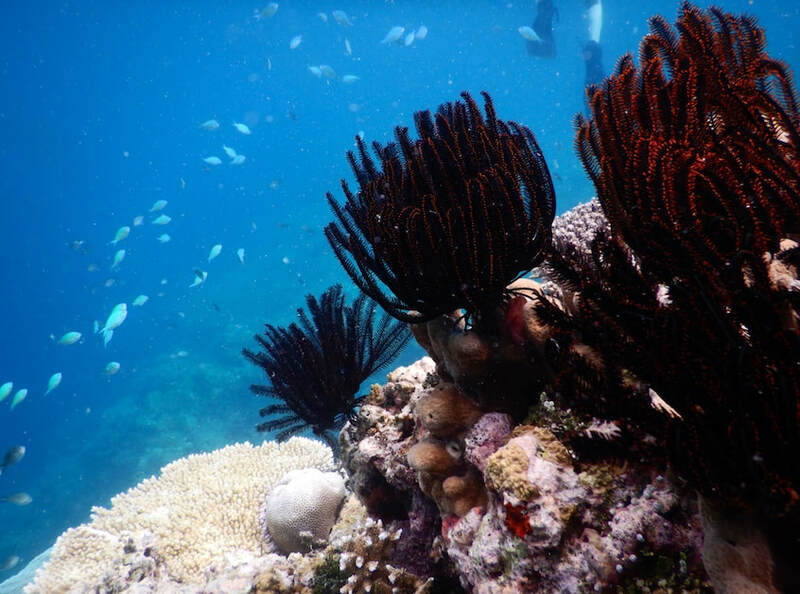 The warmest reefs experienced the least amount of temperature-derived damage. Therefore, the bay reefs were described as a possible refuge for coral during the event of thermal stress. Although the Palauan thermal stress event of 2010 serves as a microcosm of global climate change, the results apply directly to the health of Palauan coral reefs. This study tells us that the bay reefs of Palau should be the healthiest compared to any other type of Palauan reef. Therefore, Palauan bay reefs could be useful for the salvation of coral clades such as Pocillopora, which suffer greater consequences of thermal stress in out in patch and outer reefs. 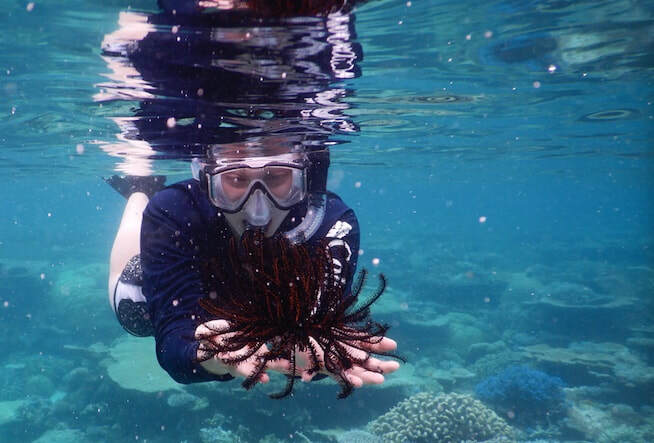 Additionally, it is possible that more diversity can be observed in these regions, which is helpful to understand for further research in Palau and even ecotourism.